at the point is also with me 10.73. Sometimes you are too stupid to help yourself! Is my problem (Explorer) so unfortunately to look elsewhere. Finally got around to doing that. 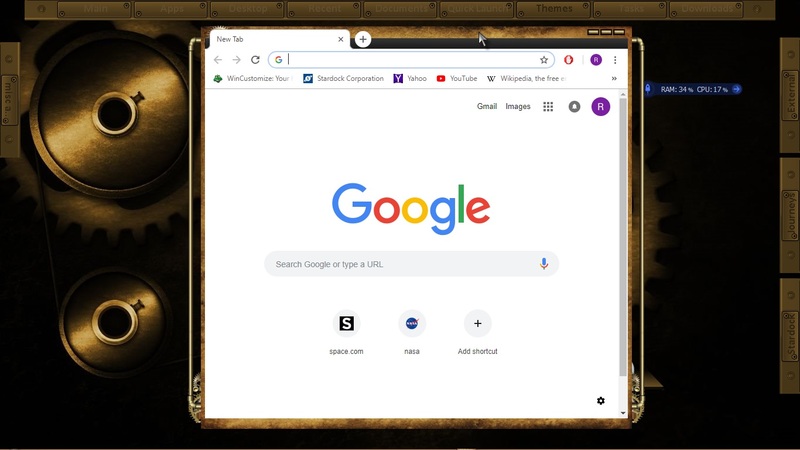 Thanks sdRohan, Chrome is now in the capable hands of Windowblinds. Win 10 Build 18767 - Same problem as with 18262. Looks like this is how it's going to be here on. Thanks also from me for this tip, has also helped me with Chrome. Is there also a tip for Thunderbird? Same problem. I don't think WB can skin Thunderbird. Just to make sure, I have forwarded your problem to Stardock Support team for their assistance. Please keep an eye on this thread for any updates. We appreciate your feedback and patience. Many Thanks ! I will do that. My suggestion would be to disable all extensions / add-ons in Thunderbird, totally exit it, then reopen to see if you still have issues. If it works, you need to see what extension (perhaps a theming one) is causing issues. I don't think WB can skin Thunderbird. Great finding, you tell us edit the "th.css". But you did not tell us edit what? Thank you, but unfortunately that did not help. @ VAD_M Thanks for the tip ! But the "Edith Wath?" I am also very interested! Edit the "th.css" directly! Copy th.css to some safe place. Then open th.css from C:\Program Files (x86)\Stardock\WindowBlinds in any text editor like Notepad ++ and create your own css which will be used when you run the Thunderbird. thank you for the "long" answer! This is a few numbers too big for my little knowledge and I feel helpless. Which line would have to be edited? That there code is a bit much and not knowing where to start is nerve wracking. I made what you posted into a text file, uploaded it, and posted a link as it was way too long for the thread to be easily read. Which line would have to be edited? You do not need edit anything! This is a fully working css which I use on my Windows 10 PC. To try it just replace the content of your existing "th.css" (leave a copy in a safe place before!) 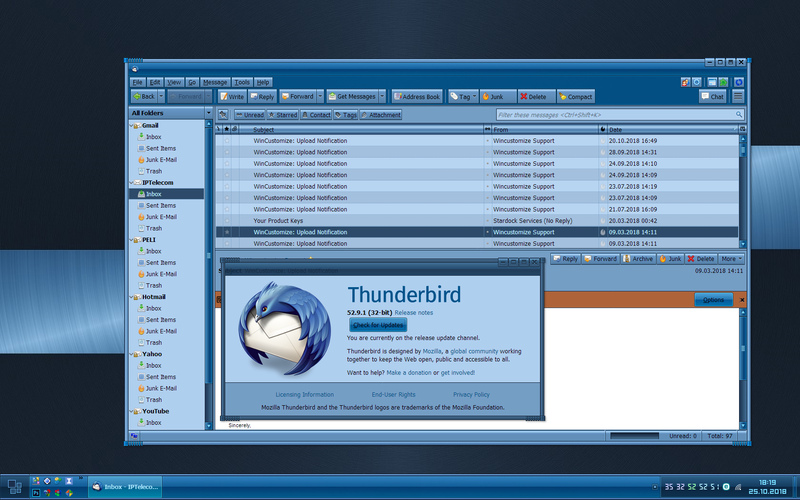 with this code, save the file and restart Thunderbird. girls / boys, you are just great !!! It works flawlessly with the new "th.css"! Thanks for your help, Vad_M, really. So, can you help me to post all other css files with the small instructions (if it's necessary, of course)? It will be a few thousand lines of code for Windows 7 and Windows 10 and for the different versions of Firefox, Thunderbird and Tor (ff-52+ win7, ff-52+ win10, ff-60+ win7, ff-60+ win10, th-52+ win7 and tor-8+ win7, tor-8+ win10). However, can you help me to post all other css files with the small instructions (if it's necessary, of course)? It will be a few thousand lines of code for Windows 7 and Windows 10 and for the different versions of Firefox, Thunderbird and Tor (ff-52+ win7, ff-52+ win10, ff-60+ win7, ff-60+ win10, th-52+ win7 and tor-8+ win7, tor-8+ win10). You can email it all to sean.drohan@stardock.com. Attach any files with it. Some skins work on 10.262 and 10.267 such as Brainstorm and Kal_El as long as you don't have windows at full screen. I'm not sure what the differences are between those an other skins, but at least there are a couple of options. Hopefully this helps the developers. Thank you! Email sent with the subject: "CSS Styles for Mozilla products". This just happened. Chrome is overlapping the title bar of Icebabee's Punked WB. This also happened with adni18's A Steam Punk WB and with other WB's.